HMPS Ventilators offered are made from different thicknesses of CRCA sheets with offered ventilators offered in single sheet or sandwiched type construction. Further, these windows also allow glass to be fixed between rubber beeding and aluminum beeding. Further, the ventilators are either fixed or of open-able types and feature use of embedded safety bars. With nylon bushings provided to ensure smooth operations, the louvers provided can also be adjusted at a desired position so as to easily allow varied degrees of light and air to enter the space. We are specialize in designing and developing a remarkable gamut of Steel Air Ventilators. These offered ventilators are manufactured by making use of supreme quality required basic material so as to ensure their longer serviceability, resistance against corrosion and fine-finish. Keeping in mind divergent demands of the clients, we have made offered products available in different sizes, designs, thickness (1mm to 3mm) and specifications. 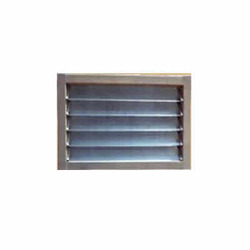 Pressed Steel Ventilators offered are made available in precision fabricated construction finish that make these easily withstand high wind velocities and deliver consistent longer service life standards. 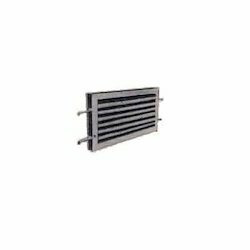 These steel ventilators are also appreciated for their low costs, easy usage, high capacity per vent as well as overall reliable performance. 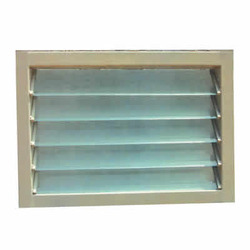 Further, these pressed steel ventilators also provide flexibility to be installed anywhere on roof without any requirement of structural changes.